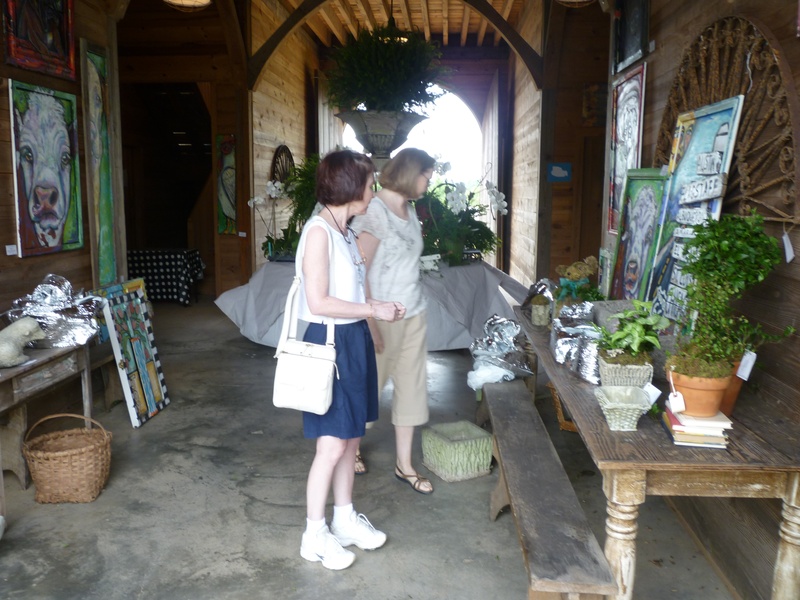 Yesterday my wife Mary Ann and our neighbors Scott and Dawn set out to visit the HGTV Green House for this year. 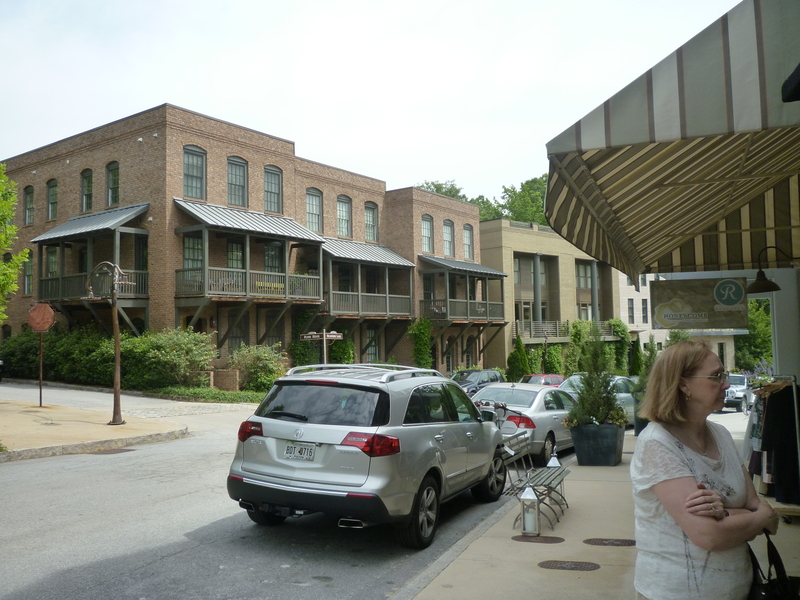 We drove from our Johns Creeks Georgia home down to the southside of Atlanta, then another 20 miles out in the countryside to the Serenbe Community. Here are some pictures and information about this wonderful community. From their web site: “Serenbe is a 1,000 acre community located under 30 minutes from Atlanta’s Hartsfield-Jackson International Airport. It is a national model for the future of balanced development in the U.S.— focusing on land preservation, agriculture, energy efficiency, green building, workability, high density building, arts and culture, and community living for multiple generations. 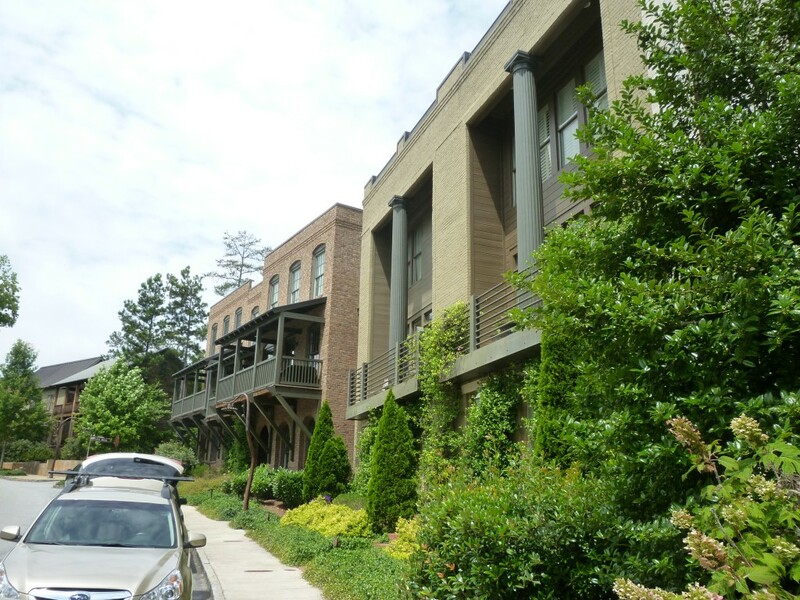 With a projected 70% of future building occurring in the greenfield, Serenbe demonstrates how urban development models can succeed on the edge of a metropolis while preserving a vast majority of the greenspace. 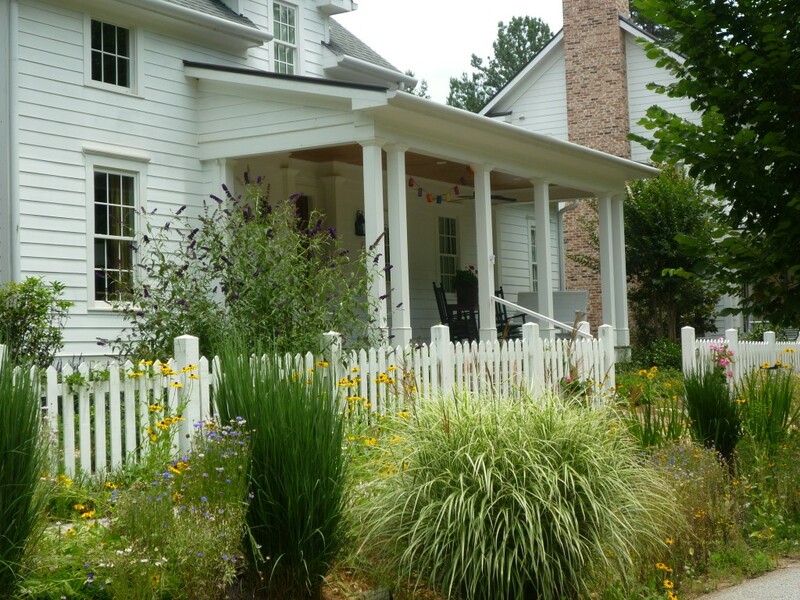 Serenbe’s ultimate goal is to demonstrate how development can accommodate the need for housing with minimal impact on nature—Serenbe’s land plan call for a preservation of at least 70% of the acreage, while accommodating as many or more people as traditional subdivision-style development, which would disturb nearly 80%. I snapped some photos of our visit that will tell the story. We stopped first at the Stables Market where venders were setting up their wares. This was a real horse stables. Outside the Stables Market were the cutest donkeys. 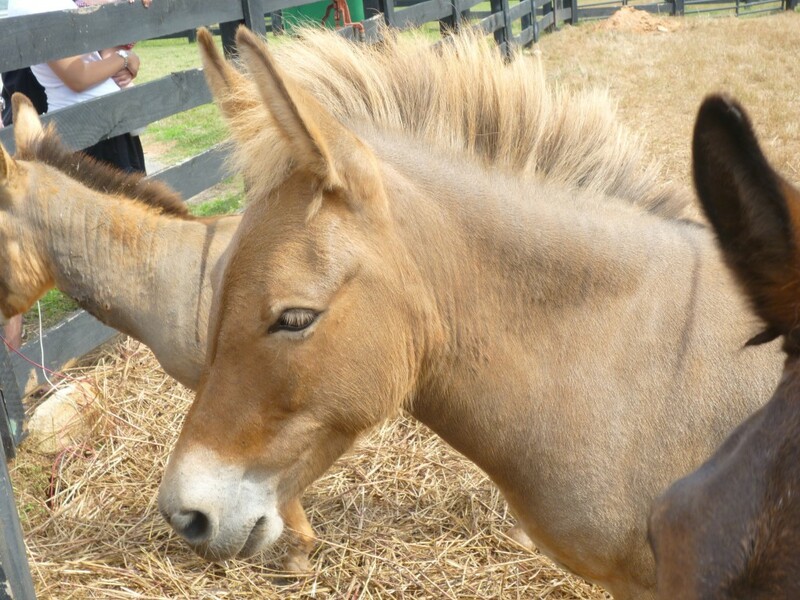 Next we visit the Serenbe Farms Saturday morning market. Mary Ann picked up a nice bunch of organic beets which she will roast and make a salad out of the top green leaves. 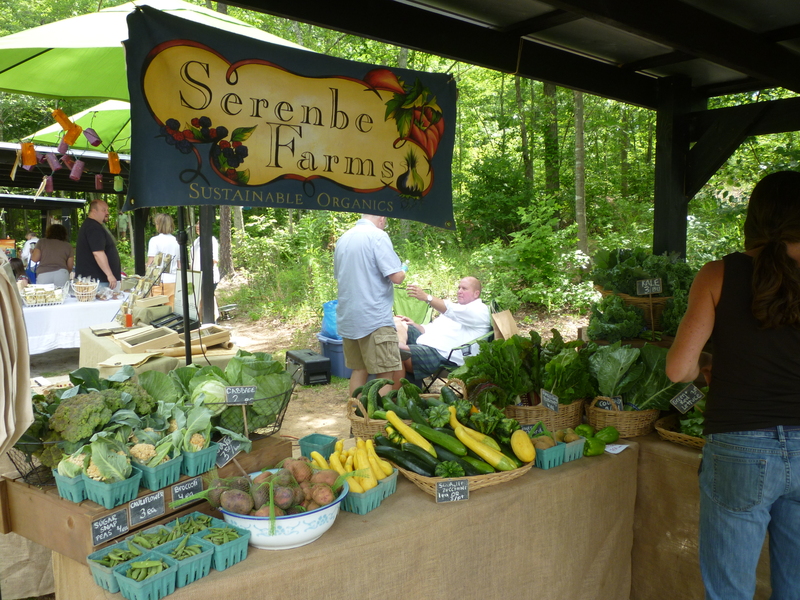 Serenbe Farms provides the three community restaurants with fresh fruits and vegetables and makes them available to the community also. Next we walk along the side walk toward the village and past some interesting homes that could be someone’s small town retirement home. Wild flowers especially Brown Eyed Susans were in bloom eveywhere. In the village, or hamlet as they call it, Mary Ann window shops while I spot some townhomes across the street. So this would be “city living in the country”, just the opposite of the Doraville song that says “county living in the city”. lol. Further down the street even more progressive looking homes. So one side of the main street has shops with residents over them and this is the view of the other side. 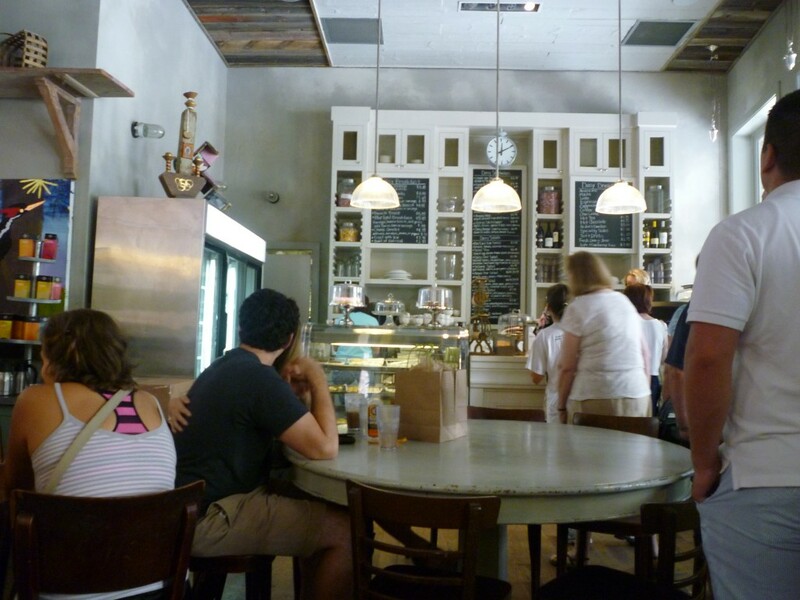 We decide for lunch we will go with the less formal Blue Eyed Daisey Bakeshop over the two more formal restaurants, The Hill and the Farmhouse. 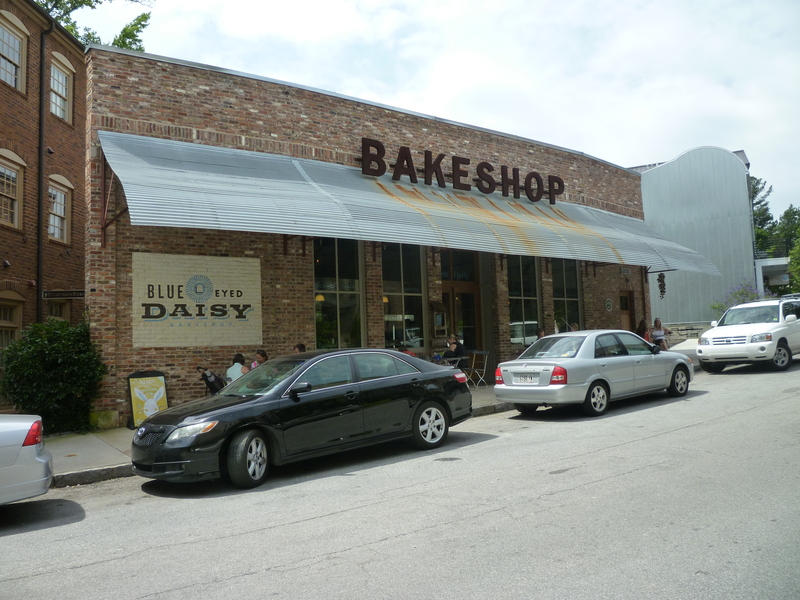 Inside the Blue Eyed Daisey Bakeshop it is quite busy. I have the veggie burger and Mary Ann gets a chicken wrap. There bakery case is full and we see they will be featured on the TV shop Cupcake Wars this month. Our stop was going to be the HGTV Green House but we are told you need a ticket and the next time available is going to be 4pm. 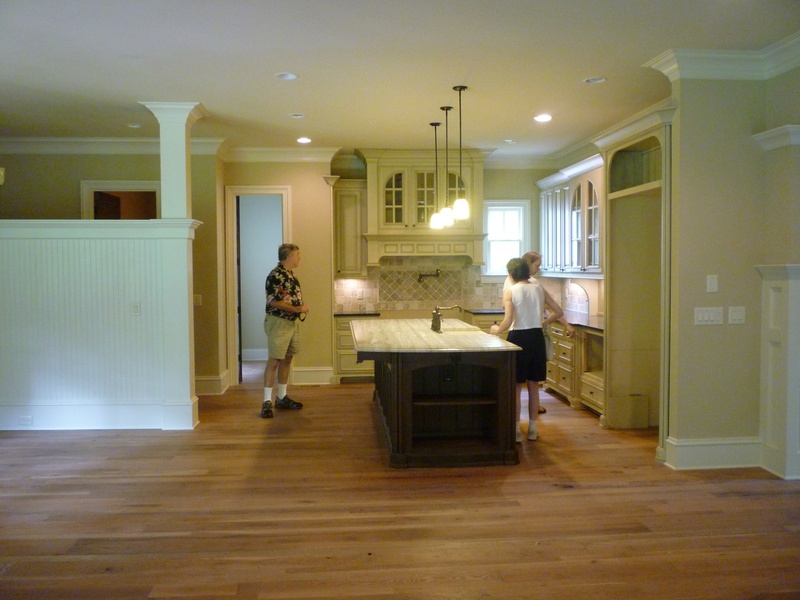 However we find two more interesting homes to see the inside of. 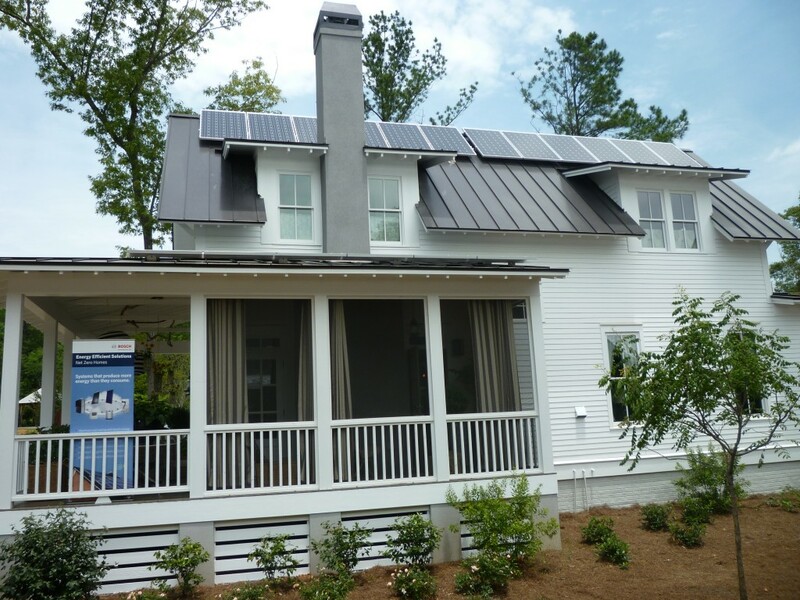 We went inside The Bosch Net Zero home pictured at the top of the post. 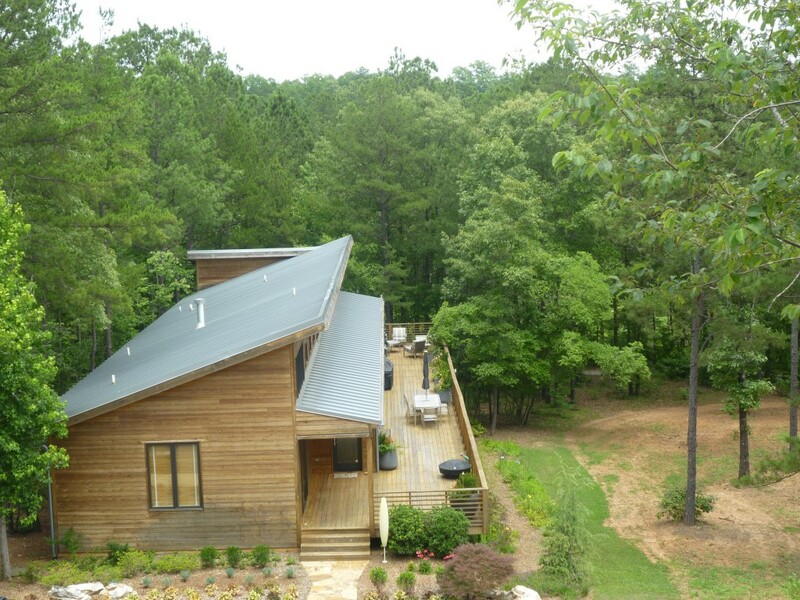 Net zero means it generates all of its energy. In the Bosch House I see this clothes washer that uses only $16 of energy PER YEAR. How is that possible? The Bosch house was fully decorate by Ballard Designs and was beautiful. 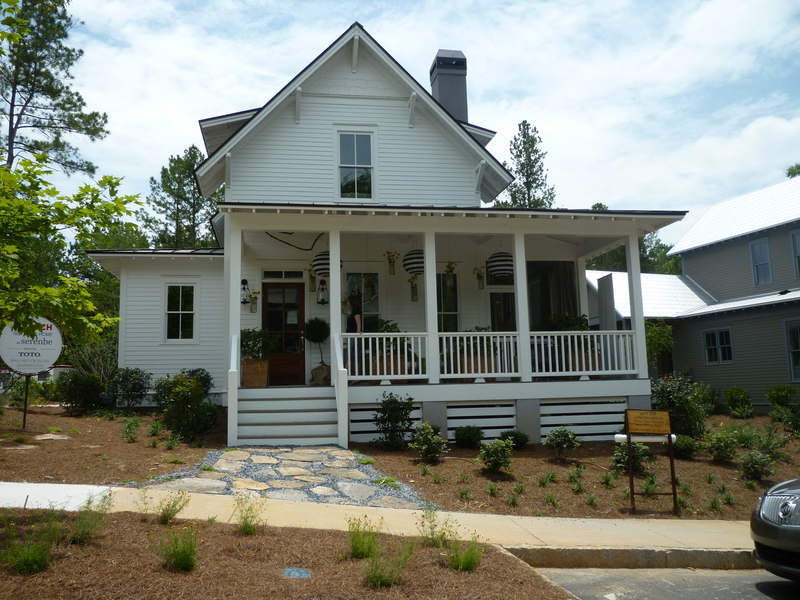 Next we see who diversified the homes at Serenbe are as we go into a four level Victorian home. It is huge. This is not a retirement home! 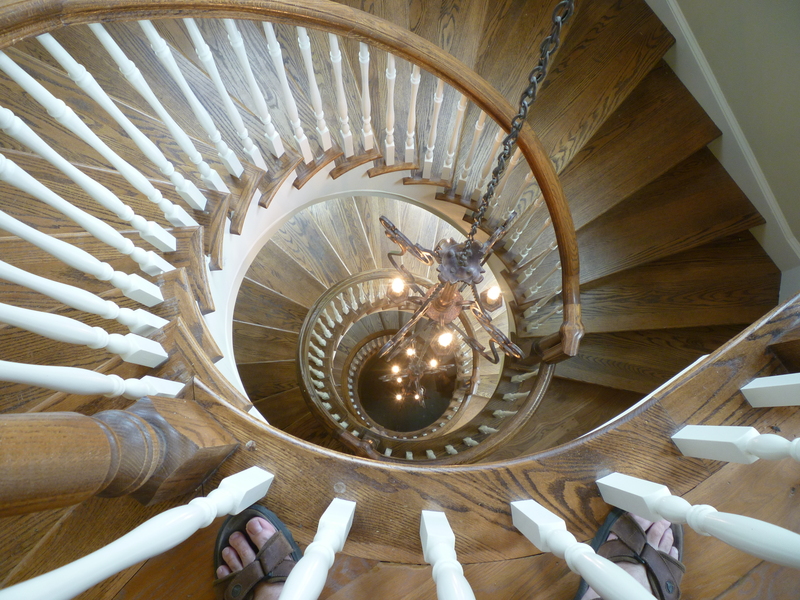 However I have to show you the shot I took from the top of the stair case on the fourth floor. Don’t get dizzy! The fourth floor was a Karaoke studio. 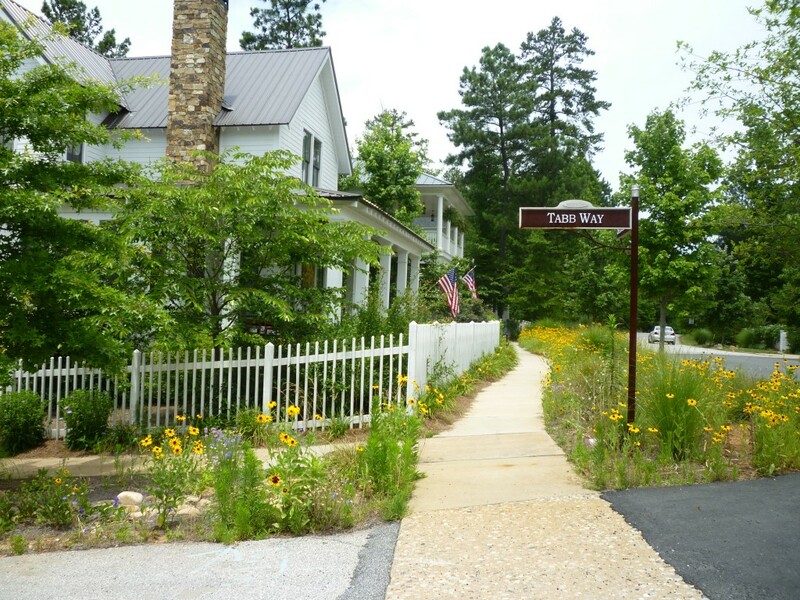 However we did a little driving around the Serenbe Community and it has smaller homes and cottages that would be a great small town retirement home. I will leave you with a few photos I took of these.